We were on our way to Kranji countryside one morning, when we saw some people fishing by Kranji reservoir. We parked our car to take a look at what they had caught. It was my first time visiting Kranji Reservoir Park. Didn't know it is a place for fishing and picnicking. The reservoir has a lovely scenic view. Several people were fishing and a few families were picnicking. A group of young adults had camped overnight under a couple of tall trees. It's a fabulous place for family activities. We crossed the road to the other side of the park which has sprawling greens complete with pavilions and benches and a panoramic view of Johor Straits. Interesting to know that the water this side is salt water. 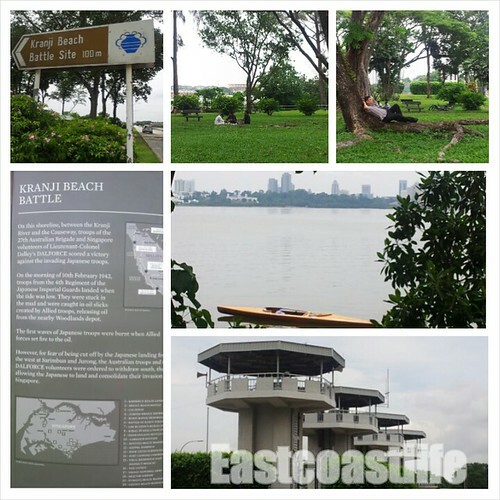 Kranji Reservoir Park is a historical site - a war memorial plaque commemorates the Battle of Kranji. The Kranji area of Singapore was invaded during the Second World War by the Japanese. Both fishing grounds are opened from 7am - 7pm daily. For public transport, take bus number 925 from Woodlands Regional Interchange and alight near the respective fishing grounds you wish to fish. Looks like a beautiful park to chill out ! Looks interesting, what is that building for? Last picture, like an observation deck? That is a tidal gate tower. A tidal gate is an opening through which water may flow freely when the tide sets in one direction, but which closes automatically and prevents the water from flowing in the other direction. 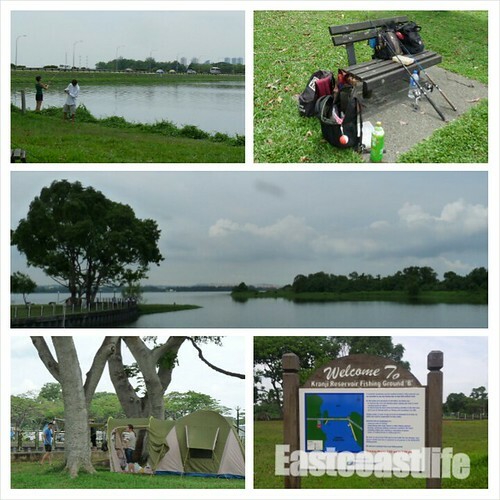 There are a total of 4 tidal gate towers at Kranji Reservoir..
...thank you for taking us along on your adventure. Looks like a very relaxing place to spend time!! Beautiful. Maybe I should visit Kranji Reservoir Park next time I go Singapore!